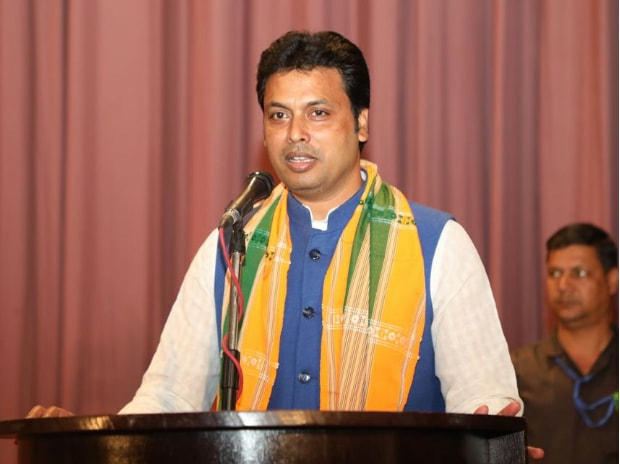 Tripura Chief Minister Biplab Deb on Sunday expressed his wish to domesticate cows at the Chief Minister's residence here along with his family and consume its milk. "Today I am announcing that I will start domestication of cows at the Chief Minister's residence along with my family and will consume its milk. This will also inspire people of Tripura to do the same and would help fight malnutrition," he said. The Chief Minister also said that the state government would launch a scheme to distribute cows among 5,000 families. "We are about to launch a scheme for distributing cows among 5,000 families. I am not against setting big industries but in that one has to invest Rs 10,000 crores (Rs 100 billion) for employing 2,000 people but if I give 10,000 cows to 5,000 families they will start earning in six months," he further added.